Ram Chalisa refers to the forty "chaupais" dedicated to Lord Ram. Word “chalisa” is from Hindi word "chalis" which means forty bearing on forty hymns for Lord Ram. 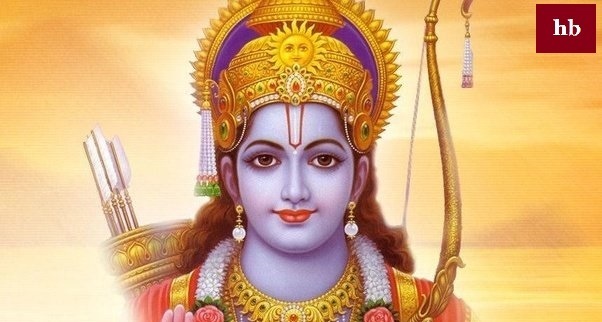 Ram Chalisa is recited in Hindu households wherever Lord Ram is adored on an everyday basis. Ram Chalisa is recited at the top of the puja. Before, there's recitation of Ram Charit Manasa. thenceforth there's Ram Chalisa. once one recites the Ram Chalisa, one would be let out from one’s sins. Also, one would attain "Moksha". One would attain a way of peace and unity with the globe around one. Also, individuals believe reciting the Ram Chalisa helps one get divine blessings from Lord Ram himself. Nisidin dhyan dhare jo koi, ta sam bhakt aur nahi hoi. Tuv bhujdand prachand kripala, ravan mari suarn pratipala. Gun gavat sharad man mahi, surpati tako par na pahi. Shesh ratat nit naam tumhara, mahi ko bhar shish par dhara. Lakhan tumhare agyakari, sada karat santan rakhwari. Ghat sp prakat bhai so aai, jako dehkat chand lajai. Ichchha te kotin sansara, rachat na lagat pal ki bhara. Jo kuch ho so tumhahi raja, jai jai jai prabhu rakho laja. Satya bhajan tumharo jo gave, So nischay charon phal pave. Satya shudh deva mukh gaya, baji dundubhi shankh bajaya. Aur aas man mein jo hoi, manvanchit phal pave soi.